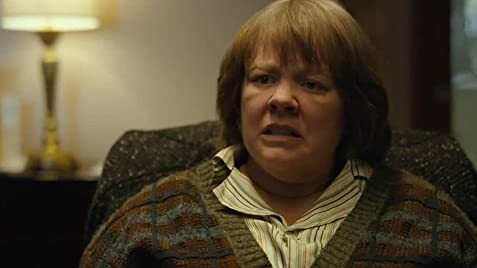 It takes courage to make for comedian Melissa McCarthy to lose all that weight and to star in a serious role of a convicted felon as well as to bring to the screen the story of a protagonist that is annoying and not one many can root for. Accolades for the effort. 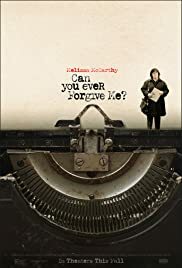 Based on the book/biography of the same name, CAN YOU EVER FORGIVE ME? tells the story of failed writer Lee Israel who did at one time make it on the New York Times Best 10 bestseller list but now, down spiralled to drinking and being exceptionally rude to everyone. She is a petty thief as well. Then she learns something she is really good at, forging literary letters and selling them to collectors. She befriends a gay Brit (Richard E. Grant) who does not help her esteem either. Heller’s first third of the film shows Lee as a dislikable person, despite offering some break in her jokes and insults. Heller and McCarthy achieves their difficult task of getting the audience to slowly become sympathetic (if not root) for the character after that. But the film is a biography and a study character of the forger Lee Israel and in that sense, the film succeeds tremendously.